Hong Kong aviation officials were examining an engine failure on a Cathay Pacific flight to Amsterdam carrying more than 300 people, a radio report said Tuesday. One engine of the Boeing 747 aircraft's four engines had to be shut down on the flight Sunday as of overheating and vibration, according to government-run radio station RTHK. The aircraft landed securely in Amsterdam, it said. 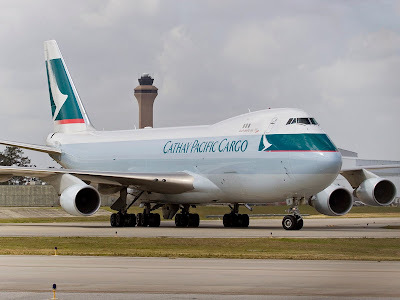 In April, a Cathay Pacific Airbus A330 carrying 322 passengers did a crisis landing at Hong Kong International Airport after one engine failed and the other developed problems.